We have the honour to have our furniture specified and adopted in a few Park Hyatt hotels internationally, including their hotels at Shanghai, Moscow, and Washington DC. Quite a number of our furniture items were used as quality and design standard for the Park Hyatt Shanghai, but Park Hyatt Washington in the USA is the one that uses the most of our furniture. All items are used in their suites. The splay legged armoires with open work cracked ice lattice is for the casual hanging of clothes, original design is from our standard collection cabinet CA 41. Cracked ice patterns are quite ubiquitous in Chinese style, but not all patterns are the same. They can be uniform geometric or randomised. The latter needs special care for the pattern to be balanced and elegant. 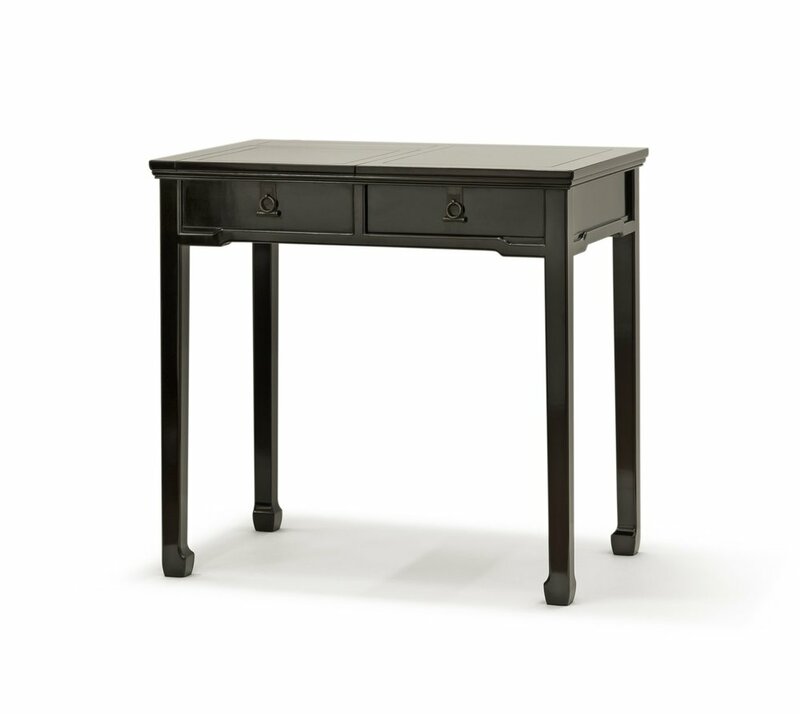 The table with horse hoof feet is a customised one from our standard collection table TA 14, but with high quality flipped up mirror concealed below the table top. Metal hardware was specially selected for their consistent finish and quality, even though they are completely concealed. They also need to provide enough dampening to the drop down motion of the opened mirror. Rather than an operational hazard to compress the fingers, the mirror just drops slowly and firmly into a complete closure. All the cracked ice lattice panels can be clearly seen on all sides. Together with the other panels they come into close contact with the guests' clothes. It is paramount that all of them are finished to the highest standard. We therefore treat the inside and outside of the cabinets as the same in crafting, achieving the same finesse in quality.